Last weekends victory has seen West Ham climb off the bottom of the table and out of the relegation zone. Hammers boss Manuel Pellegrini has urged his players to play with confidence in Sunday's London derby against Chelsea. West Ham United will host Maurizio Sarri's unbeaten Chelsea on Sunday at the London Stadium. Manuel Pellegrini has given his press conference at Rush Green, and here's what he's had to say ahead of the fixture. The 65-year old Chilean's first win in the Premier League came last weekend against Everton, and Pellegrini now wants his players to use the victory to kick-on further. "I think we started the game with Everton with the players we did because, the week before, we worked really well with them. We try to play well and win the most amount of games. We must now try to improve on what we did against Everton." Despite a quite brilliant away display last weekend, Pellegrini knows to not get carried away going into the next game, although has urged his players to play with the same level of confidence that they did at Goodison Park. "Every game is different in the Premier League," stated the former Manchester City boss. "We must be confident that we can play at home or away in the same way that we tried to do in the last game. We need to concentrate in defence, because they have very good players that can make the difference in small spaces. But I am confident that our team can play a good game." The Hammers boss then went on further to tall about Chelsea, "It's impossible to start better than Chelsea, they've won all five Premier League games" proving that he is under no illusions that overcoming the Irons' rivals will be a straightforward task. 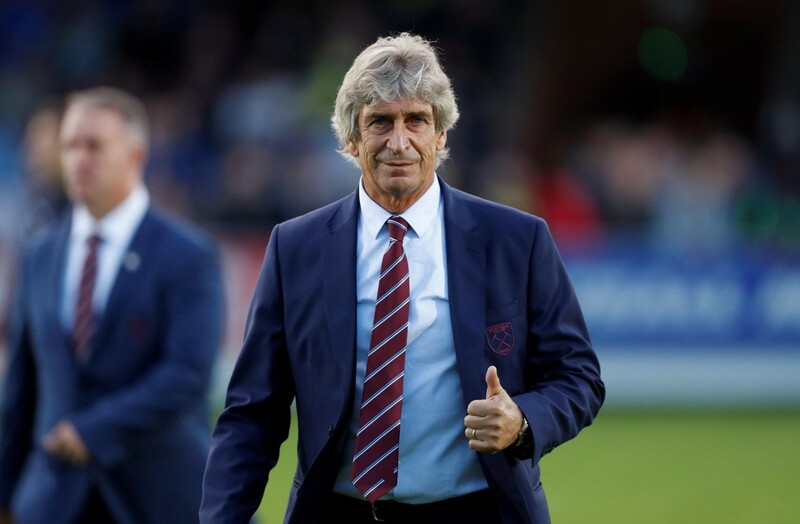 "A little bit more importance"
West Ham's first London derby of the season ended in defeat at the Emirates, although this is the first to be played at the London Stadium in this campaign, and is a fixture that Pellegrini believes is slightly more important than a standard Premier League game. "A derby has a little bit more importance, of course. I know, here in London, there are a lot of derbies with different teams. Our first at home is against Chelsea, the team at the top of the table, so I think that is one more motivation to try to beat them." The East-Londoners hosted Chelsea at the London Stadium on two occasions last season, coming out surprise winners on both occasions - a record that Pellegrini will be hoping to keep up ahead of his first encounter against this season's early league leaders.